One-on-Ones are just for you to work on the areas of your photography, or your photography business, that need a tune up. Sometimes having an outside perspective makes all the difference! 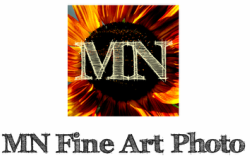 I will share with you my extensive photography experience, not only within my skillset, but also about the photography business (if that is an interest). Keep in mind, I'm not going to turn you into my clone! I want to bring out the attributes that will make you stand out as your own artist and professional. One of the most sought after services I offer is the hands on ability to learn manual settings (which will revolutionize your photography), photography composition techniques, and business tips and tricks. I offer multiple workshops and classes throughout the year. Stay tuned to this page for 2019 opportunities, and makes sure to follow me on Facebook or join my mailing list if you'd like to be updated when I announce upcoming opportunities!